What’s worse than an insect? An insect with wings. Flying insects swarm and infest homes and offices all over the country. Eliminate these pests with the help of a Grand Rapids exterminator from Smitter Pest Control. 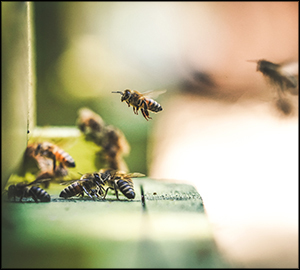 A list of the flying insects our trained professionals typically exterminate range from boxelder bugs, wasps and hornets to flies, gnats, moths and the dreaded mosquito — who all meet their maker when they encounter our experienced exterminators. A flyswatter kills a single fly just fine, but a whole infestation requires a little heavier artillery. The small game hunters at Smitter Pest Control take care of all types of flies, including blow flies, cluster flies, drain flies, house flies, phorid flies and the famous fruit fly. We also exterminate large groups of gnats, a major nuisance when clustered in a giant swarm. Boxelder bugs, commonly mistaken as stink bugs, belong on boxelder trees. Yet, they find their way into homes and ruin several items in the house. Large amounts of boxelder bug’s secretion stains surfaces. Smashing these bugs on clothing, furniture and drapes leaves nasty orange stains, so they require different, more sophisticated extermination methods. Famous for ruining clothes in the closet, Indian Meal Moths also eat stored grains. Moths and their larvae show up in pantries and cabinets storing grains like cereal and bread, contaminating the food and causing unwanted sick feelings. Hornets and wasps carry a reputation as one of the hardest insects to exterminate, because they fight back. Their nasty stingers cause alarm for any sensible person, and at worst cause fatal injuries. 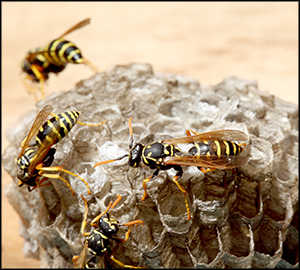 Taking care of the problem yourself proves extremely dangerous, so contact a trained wasp and hornet remover first. Perhaps the world’s most infamous pest, mosquitos cause annoyance and diseases all over Michigan. 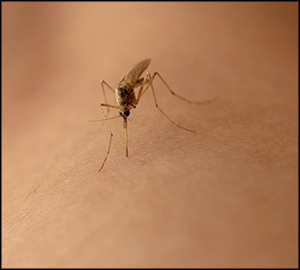 Those with weak immune systems are especially susceptible to mosquito-borne diseases in the US, such as the West Nile virus. Though fighting this vile species seems futile, controlling their population is possible with the help of an experienced mosquito exterminator. For more information on flying insect removal from the experts at Smitter Pest Control, please contact us here or call us directly at 616.245.7215.